Yesterday evening, Senate Judiciary Chairman Chuck Grassley (R-Iowa) gave attorney Debra S. Katz an ultimatum - agree to reasonable testimonial terms for her client and alleged sexual assault survivor Professor Christine Blasey Ford by 10:00 PM Friday or the Senate would go ahead and vote on Monday to confirm Supreme Court nominee Brett Kavanaugh. In return, Katz accused the senator of establishing an "arbitrary" deadline and flatly declined to comply with his request and instead asked for one more day. Shortly after midnight, Sen. Grassley agreed to give Katz and her client one more day. Professor Ford claims that Kavanaugh sexually assaulted her 36 years ago during a high school party, but has flummoxed for the past week on actual details and if she even wanted to testify. Originally, Professor Ford and her counsel had a 10:00 AM deadline on Friday to submit requests for testimony including date, time, and other specifics. That deadline passed. Then, Sen. Grassley announced on Friday evening was willing to give en more time until the aforementioned 10:00 PM deadline. Katz further claimed that Sen. Grassley displayed a "cavalier" treatment" and "inappropriate" behavior towards a sexual assault survivor. 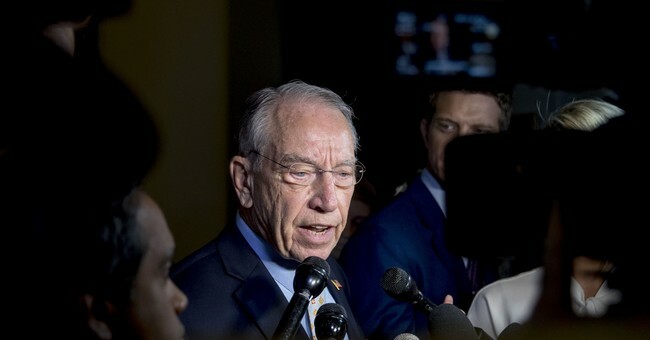 Sen. Grassley responded by saying, "come to us or we come to you" and implored Professor Ford to let the Senate judiciary committee know if she was willing to testify or not. After nearly two hours, of no definitive response to Katz's latest request, the Senate judiciary chairman tweeted his response saying, "I want to hear her" and that he had decided to grant another extension. Under this framework, Katz and Professor Ford now have until 10:00 PM tonight to decide if they are willing to testify.